FEATURES: A comfortable hand-sewn leather toe post laser-etched footbed design heavyweight stitch detail in the upper and embossed strap logo. 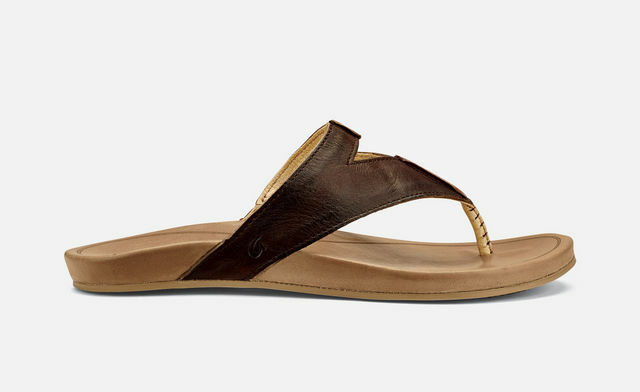 UPPER: Premium, smooth full-grain leather with soft microfiber lining. FOOTBED: Anatomical molded PU midsole wrapped in high-character full-grain leather with a raised perimeter for enhanced cushioning support and protection.